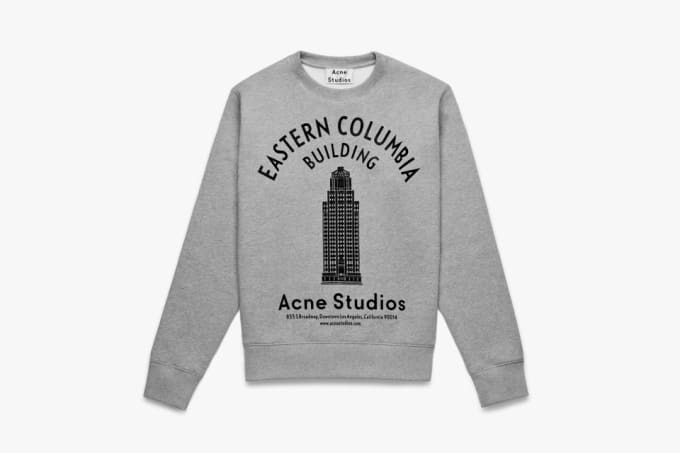 It’s been one year since Acne Studios opened its first flagship store on the West Coast, and to celebrate the milestone, the Swedish label has released a special edition Eastern Columbia Building sweatshirt, which nods to the art deco skyscraper that the L.A. Acne store is located in. Using the classic silhouette of The Casey crew neck, the release features a clean yet bold graphic of the Eastern Columbia Building with the flagship’s address printed on the bottom. Though such branding isn’t commonly associated with Acne, there is something appealing about the retro-inspired design that is simultaneously minimal and strong. Take a look for yourself in the images above and below. 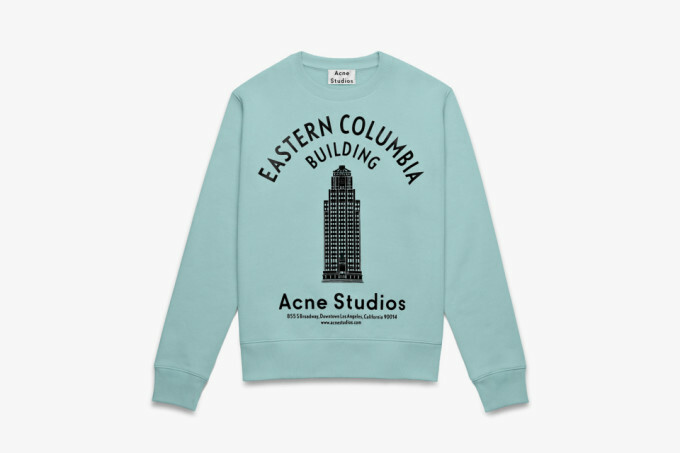 If you like what you see, you can cop the sweatshirt—available in gray melange and jade green—at Acne Studios’ online store.